As a young boy I was rather insane. There were a handful of world views I held (and thankfully dropped) until the age of seven or so. Here is a short list. I used to believe that it was possible to pick up a girlfriend or a wife at The Girlfriend Shop. I wasn't sure where it was located, but the three-year-old Justin knew it existed. It was probably somewhere in North Jersey. After I'd seized my woman I was convinced she would bore me three boys. I planned to name them Tommy, Joey and Dopey. I thought "skim milk" was called "skin milk" and used to think it did wonders for my four-year-old skin. "Grandma, come feel my hands! They're so soft!" I was under the impression that in a movie theatre the lights were to be kept on at all times. The first flick I almost saw was Return of the Care Bears, though we had to leave early because I kept screaming "Hey! Hey! Who turned out the lights?!?" I was convinced that a giant fountain at a local mall was my grandfather from another planet. Anytime I'd go to the mall I say "Hello, Grandpa" in my head. I was telepathically communicating with the indoor geyser. Really glad I didn't share that with anyone at the time. I used to think Poison were cool and The Grateful Dead were terrifying. That "Touch of Grey" video gave me the creeps. I suppose Poison were just less threatening because they looked like a bunch of Moms. 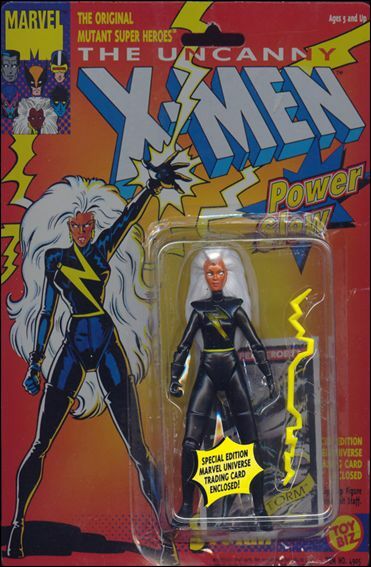 I'm pretty positive my first sexual feelings occurred for my Storm action figure. I suppose I got to second base pretty early if I'm allowed to count the foxy Ororo Munroe as my first hookup. My asinine belief was that she was my girlfriend. That's all I can think of. I don't know why I thought about these things. I'm not sure where the ideas came from. They just happened and I remember them vividly. Alright, bye.